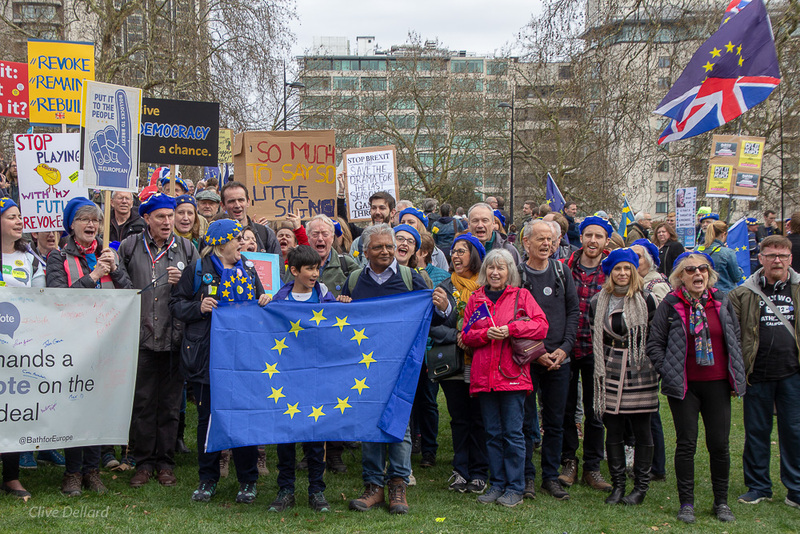 This is the text of the speech delivered by Véronique Martin at the Bath for Europe monthly rally on Sunday 3rd February 2019. I am Véronique Martin, I am French, a Bathonian and a European. I am also the co-editor of the book In Limbo: Brexit testimonies from EU citizens in the UK and the associate director of the In Limbo Project. I feel really touched to be invited today by my dear friends from Bath for Europe to speak at this wonderful Pulse of Europe event. February is the month of cold…and even snow this year, but it is also the month of love and relationships as it is the month of Saint Valentine’s Day. So this is what I will chat about for the next few minutes. Love… My personal relationship with the UK until the Brexit Referendum has been one of love, of devotion even. I arrived in Britain, in Scotland, in 1984 with the very first ERASMUS group – we were the guinea pigs of this mind- and heart-expanding European exchange. I was a student of English in France and already loved British literature and culture; but on arrival here I fell immediately in love with the atmosphere, the landscapes, with the openness, tolerance and sense of humour. I also met a gorgeous English boy, Miles, who became a close friend. A couple of years later, I was back in Scotland and our friendship turned into a love story. We’ve now been married for almost 29 years and he is my soul mate. I love his family like my own and know they love me, too. We are a truly united Franco-British, European family. Without the EU, or EEC at the time, I would not have had the freedom of movement that allowed me to settle down in England with my love and live my whole adult life, until now, with him. 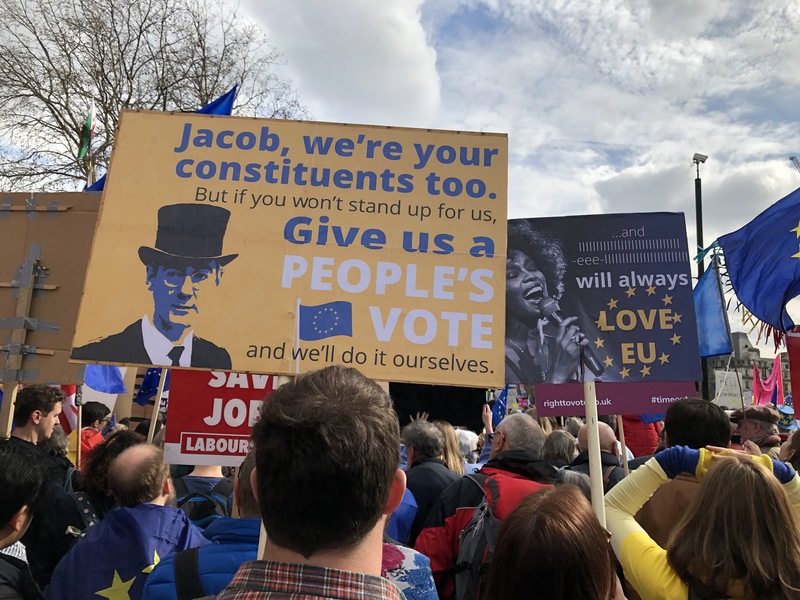 But since the Brexit Referendum, I and my fellow EU27 citizens here have seen our rights retrospectively stolen from us and have been plunged by Theresa May’s government into a dark and painful limbo. From EU citizens at home in the UK we have been made into unwanted immigrants and even pariahs: “queue jumpers”, “a burden on the system” (while it is proved we are actually a financial asset), “bargaining capital” and other dehumanizing and demonising terms have been used to depict us. This has empowered xenophobes everywhere and hate crimes against our community have risen. But the worst for me is that Brexit is directly endangering my most precious relationship, my marriage to Miles. Indeed if for some reason I do not qualify for Settled Status, I will have to leave our home of 32 years in the UK but Miles won’t not be able to come with me because he will have lost his freedom of movement. This is not project fear, this is reality and it is happening to us, now. This bleak situation is not just affecting EU27 citizens in the UK, it’s also affecting our British brothers and sisters in the EU, all 5 million of us, but also all our combined families. That makes many millions of people! Since 2012, Theresa May has removed the rights of foreign spouses of British citizens and has created 15,000 so-called “Skype families”. These families have been forcibly separated by the Home Office and told to keep in touch by Skype. Of course what has followed are relationship breakdowns and traumatised children. Similarly, once we have lost the fair and humane protection of the EU, this is what the UK government wants to impose on us EU27 citizens. Because of Brexit, an unimaginable amount and variety of tragic situations have arisen for the 5 millions of people who have dared to embrace the European dream and built their lives on the wonderful concept of Freedom of Movement. Many friends of mine have experienced family feuds that have been so serious they feel totally isolated from their British in-laws and even partner or spouse. They have lost many friends, too. My French friend Laure became so depressed by her British husband’s total lack of support and understanding that after 25 years together she felt their marriage was over. She felt she had no choice but to leave her home and family. It’s been beyond painful for her but staying would have destroyed her. My friend Murielle was subjected to intense xenophobia in the part of Brexit England where she had lived for eight years. She had no choice but to leave her home here to settle down in France. But in doing so, she had to leave behind her only family – her beloved daughter and granddaughter. Sadly she can’t get used to being back in France as she feels homesick for the UK she loved, but which she feels no longer exists because of Brexit. The Freedom of Movement that Theresa May is so proud of soon eradicating and which Brexiters celebrate the “end of for good”, is the freedom for all of you, my British friends, to live, study, work, retire, start a business, build a home in 27 beautiful neighbouring countries. And maybe most importantly, at least for me, it’s the right and freedom to fall in love with whomever you want and live with them in your own country or in theirs – the way you want and for however long you wish to. It’s that right that’s allowed me to meet Miles and live my life with him. It’s that right, that freedom, which Brexit will be denying you all and your children. It’s a tragic reality we have to face on this Valentine’s Day and every day from now on. I’d like to leave you now with a testimony I found last night in our In Limbo group on Facebook. It was left by a German EU citizen married to a Brit and living here, one of the 3.6 million Europeans in the UK. What she describes so poignantly is what Brexit is doing to good people and their loved ones. “Yesterday I had a complete breakdown. My life feels totally out of control. My British husband and I foster British teenagers; we still pay our mortgage and my husband has cancer. On the other side, my mother in Germany is over 80 and won’t be able to look after herself for many more years. I have been living in England for 22 years and up to now it was easy to just jet over to Germany to visit my mum every second month. I could not forgive myself if something happened to her and I couldn’t be there in a matter of hours. I hope we can still stop Brexit and save the tolerant and open Britain we have loved so much. 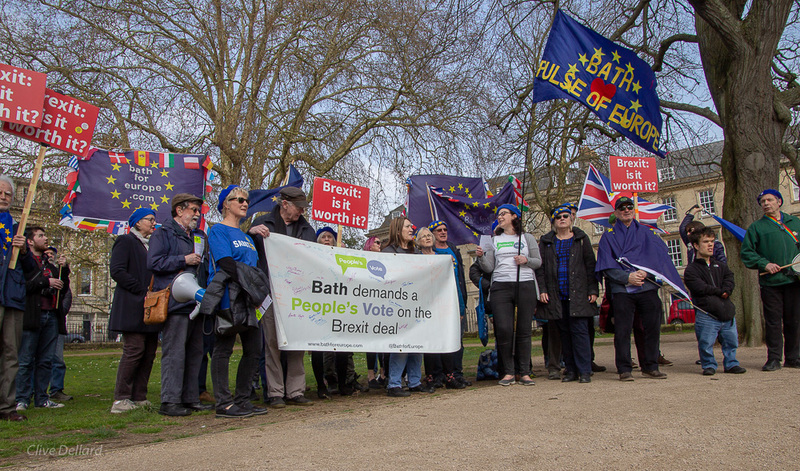 I wish to say a massive thank you to all my dear friends from Bath for Europe who are the best of British and of Europeans.